About Us: Hawaii Homes International has been established since 2002 on Oahu and has done more than $2 billion in real estate transactions. Our agents are among the best on Oahu. It is important to have a good agent on your side when buying real estate. A good agent can help you with the buying process by finding you good deals and negotiating for you when you make an offer. We are committed to making your buying experience as easy as possible. We will look diligently for you to find homes or condos for sale. $10K Details: When you purchase a home through Hawaii Homes International, we will credit you back up to $10,000 in closing cost. The credits are based on the purchase price. Hawaii Homes International will credit you 1/2 percent of the total purchase price. Due to government regulations, this credit must go towards closing cost. Hawaii Homes International has a minimum commission of $5,000, so any credits must be after the minimum $5,000 commission is received by Hawaii Homes International. Note: To receive this limited time offer, you must notify the agent in advance that you are interested in our $10K Credit Rewards program before looking for homes. Buyer agent commissions are typically 2-3% total, so the minimum commission of $5,000 is based on the Buyers side of the commission. 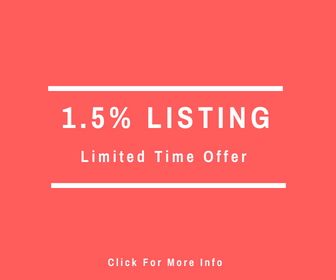 Each listing has a different buyers agent commission which varies between properties. Diamond Head @ Pualei Cir Bldg. Fantastic 2 acre ag zoned lot in Mokuleia near Mokuleia Beach Park and Dillingham Air Fields.